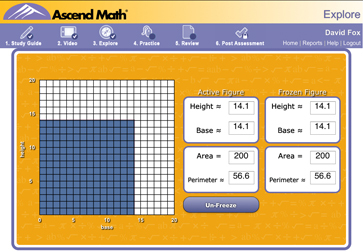 Using Ascend Math There Are No Limits! 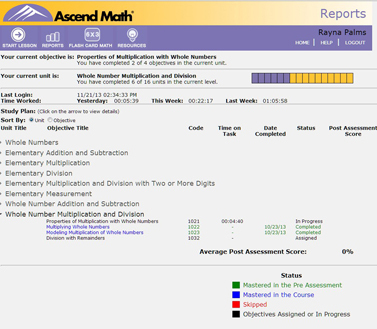 Ascend Math provides advanced students with a customized individual study plan, lessons, and assistance that will allow them to move through objectives at a pace that appropriately challenges them. Computer adaptive assessment allows gifted and talented students to test out of content they already know. An individual learning path is prescribed. Students work only on the objectives they do not know, taking on new challenges in the proper sequence. Award-winning video instruction that combines conceptual and algorithmic understanding coupled with online explorations ensures proper understanding of each new objective. 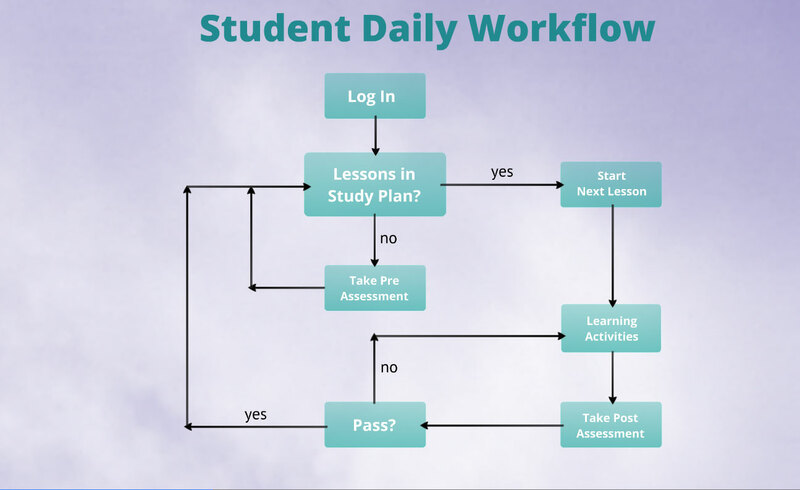 Students move through the award-winning online instruction at their own pace. 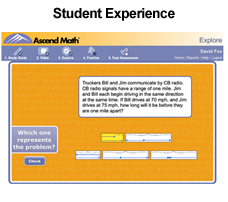 Multi-modal explorations offer engaging hands on strategies for quickly grasping the objective. Students can work from home, class, study hall or virtually any location using nearly any device including iPads. Students track their own progress. The student dashboard helps them manage their time by providing time worked yesterday, this week and the previous week. 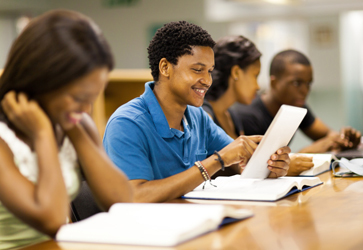 Each advanced student progresses quickly and efficiently at his or her own pace. 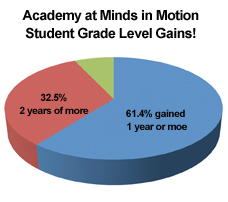 Students progressed well beyond grade level with 93% exceeding 1 grade level growth and 32.5% exceeding 2 or more levels. Academy students use Ascend Math on iPads. 79.3% of 5th grade students met or exceeded anticipated NWEA MAP test scores. 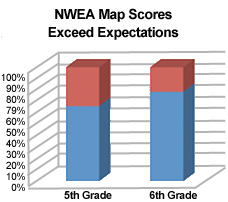 66% of 5th grade student met or exceeded anticipated NWEA MAP test scores.